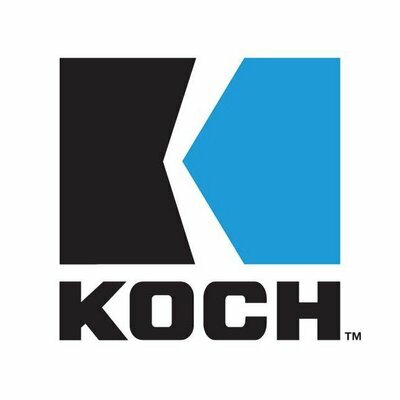 Koch Industries: Luxleaks finds a huge internal bank buried in the labyrinthine financial plumbing of the 5bn trading giant. We post an array of stories below, and will write more about this in due course. Back to Luxleaks, try this in the Guardian: Skype and the Koch empire. “Stephen Shay, a Harvard Law School professor who last year gave expert testimony on Apple’s tax avoidance structures in a Senate investigation, said: “ What Skype is demonstrating is the extent to which the smaller countries are willing to engage in tax competition – and they’re getting relatively little out of it. The losses to the other countries compared to the gains for the smaller countries are really disproportionate.” Our emphasis added. And from Margaret Hodge, chair of the UK Commons public accounts committee, who said last month’s revelations had raised serious questions over Juncker’s suitability as the head of the EU’s executive arm. And a summary of proceedings at the UK’s Public Accounts Committee (hat tip: Toby Quantrill). The full transcript is available here. There is a lot of meat in here, for the patent: questions about lying, fraud, and a lot more. The committee considered evidence from two tax professionals about the role of PwC in devising tax schemes for numerous organisations, including Shire group, and the recent allegations that had just come to light in the media. The committee enquired whether PwC had lied to the committee during a previous hearing on the subject matter in January 2013. Questions were asked relating to the set up of both the Shire companies and PwC in Luxemburg and the amount of corporation tax paid by Shire PLC. The committee was also interested in the relationship between the Luxemburg tax authorities and PwC. The session began with a question from Margaret Hodge (Lab, Barking) who referred to evidence given to the committee in January 2013 and the recent whistle blowing around the Luxemburg Leaps in the press. She asked if the witnesses had lied in the earlier evidence session in January. Kevin Nicholson, head of tax at PwC (UK) denied lying to the committee in his previous session. Hodge referred to question 36 from last year when the witness said they did not produce tax products or sell mass marketed tax schemes. Nicholson explained that they advised on a number of companies’ tax affairs and negotiated with the Luxemburg tax authorities. Hodge suggested that could be construed as mass marketing. Stephen Phillips (Con, Sleaford and North Hykeham) queried whether it was it right that the Shire arrangement resulted in tax returns of 0.016% to the Luxemburg authorities. Hodge returned to the mass marketing aspect and said the companies involved seemed to have all been set up to avoid tax by an intra-company loan agreement. Nicholson denied this and said 30-40 per cent were private equity companies and would not have been set up to do intra-company loans. He added that the companies were large with complex financial arrangements. He would not accept they had developed tax avoidance schemes for them. He added that many of these businesses had their own in-house tax departments. Phillips argued that it was PwC who went to those companies with the tax scheme. He suggested that 25 per cent of PwC income came from such work, which Nicholson subsequently denied. Phillips and Nicholson then had a heated discussion about the role of PwC in arranging schemes for such companies. John Pugh (Lib Dem, Southport) asked what features the schemes had in common other than being mechanisms for avoiding tax. Nicholson explained the schemes would all be looking to finance other investments. Hodge pushed for more clarity on why companies moved to Luxemburg other than to avoid tax. Phillips asked how many Shire companies were domiciled in Luxemburg where intra-company loans totaled around £10bn. Upon being pushed, Fearghus Carruthers, head of tax at Shire Pharmaceuticals, said they only had two staff in Luxemburg, but around 5000 globally. He told the committee they paid 29 per cent tax but the committee struggled to understand how that equated to £2m tax on over £1bn profit. He added that the staff cost was £138,000 Euros total for Luxemburg and the two staff were at director level and in charge of loan decisions. Hodge said there had to be serious decisions being made in Luxemburg on loans to merit being domiciled there and proposed they were stretching the committee’s credulity. She suggested it was fraud. Phillips felt the company had no other purpose than lending to other Shire groups. Carruthers argued that was enough for the two people working there. Phillips then asked if for the large majority of Shire companies domiciled in Luxemburg the loans were offset against profits. External borrowing was £800m compared to £10bn intra-company loans outstanding, replied Carruthers. He defended Shire as having a long history of growing by acquisition. Hodge proclaimed that it was because the medicines Shire produced were so important that the committee was so concerned about the way they conducted their business. She accused them of scamming the UK public. Hodge referred to a diagram showing how royalties for one company disappeared after receiving advice from PwC and asked why. Carruthers explained it was a very old royalty stream which for a period of time was in the UK but was then transferred to Luxemburg. However, Phillips noted that they obviously didn’t move many staff when they moved their work to Luxemburg as many were still in Berkshire and the US. Philips asked how many staff were in their headquarters in Jersey to which Carruthers admitted they had no staff in Jersey but 100 in Ireland and they were an Irish company. Phillips suggested Shire had managed to reduce its income tax across the world from 30 to 16 per cent by moving to Luxemburg, despite most of their work being in the US. Carruthers said that over the past 10 years they had made approximately £12bn worth of acquisitions. Hodge then asked about the commercial purpose of the change in structure and how that fit with their code of conduct. Nicholson could not directly answer the question. The committee questioned Carruthers instead who explained that the broad change was that from Ireland they moved the loans down to the Luxemburg company. He said it was more efficient for the movement of capital to lend into entities than to put in equity. Phillips was not convinced by their answer. Anne McGuire (Lab, Stirling) was interested to know what exactly it was they could do more efficiently in Luxemburg with two moderately paid staff. Carruthers argued it was not a comparative distinction. The committee pushed Carruthers on who advised them to go to Luxemburg. Carruthers attempted to explain the processes PLC’s went through. Hodge requested they write to the committee in the next week with the difference between the two schemes, before and after they had spoken to the Luxemburg tax authorities. Hodge suggested they had not given good reason for changing tax schemes and argued they were breaking their own codes of conduct. Moving on, Hodge then asked what PwC’s profit was out of Luxemburg in the past year. Nicholson said they did not account in that way and could not give a figure, although he said they had about 2500 staff in Luxemburg. Pugh referred back to the code of conduct. He argued they could have been more honest and admitted to the committee the schemes were about tax avoidance, as it that could still fall within certain aspects of the code. Meg Hillier (Lab, Hackney South and Shoreditch) asked who was responsible at PwC for checking schemes against the code and asked about the repercussions of breaking the code. Nicholson said staff were trained in looking to comply with the code and they educated staff to make sure they didn’t repeatedly break codes. Hodge argued that the staff in Luxemburg were not in any way substantial. Nicholson defended his position and noted that HMRC had set out that not as much substance was needed if the company was purely financial. Nicholson stressed they abided by the law and that companies went to Luxemburg because it was a place where they received certainty and clearance. Austin Mitchell (Lab, Great Grimsby) spoke about PwC’s relationship with Mr Cole, who had received over 500 letters from Nicholson and had signed off a number of the letters, often turning round requests in the same day. Nicholson refused to answer questions on whether he bribed Mr Cole in any way. Hodge also enquired if he, or anyone else at PwC, had met Mr Cole. Nicholson could not answer and could not recall if he had met Mr Cole. Hodge questioned President Juncker’s ability to be president of the European Union. She suggested it was likely PwC had a close relationship with Mr Cole, and possibly with Mr Juncker also, and noted Nicholson was unwilling to provide details. McGuire found it hard to believe he would not know details of this. The committee also questioned the extent to which Nicholson had prepared for the meeting. Nicholson admitted he had not spoken to his opposite number in Luxemburg, to which Phillips was shocked. Nicholson added that he had met the head of tax in Luxemburg twice in the past year. The committee disagreed with the witnesses on the way the documents were leaked to the press. The committee felt it was whistle blowing and were glad the documents had come into the public domain. However, Nicholson argued that the documents had been stolen and were private documents. He said the tax authorities had been aware of the accounts but was disappointed they were now out in the public. Stewart Jackson (Con, Peterborough) could not believe that two averagely paid employees in Luxemburg had the ability to look after billions of pounds worth of loans. Responding, Curruthers said that because it was a stable loan book it was not a significant amount of money for the Luxemburg staff. He felt the level of staffing was adequate to the level of activity. Mitchell questioned the impact of the incident on social responsibility and reputational damage. Nicholson justified the Luxemburg schemes by suggesting they helped companies to stay in the UK and contributed to the Government’s plans to make the UK the best place to do business. Hodge was adamant that this was large scale tax avoidance and requested the witnesses did not try to blame others for their actions. Hodge then questioned why Shire had seven companies in Luxemburg. She enquired whether it was because they lent to each other. Carruthers said it was because they all did different things but rejected the suggestion that they lent to each other. Carruthers could not fully reply to a question on how much corporation tax they paid in the UK. He said they made no profit in the UK and pointed out that Shire invested every penny they made into developing new drugs products. Closing the session Phillips suggested they should be domiciled in the UK and pay tax properly.